Choose your weapon: Spheres and UVs. Balls. I'm not too fond of them when it comes to UV mapping one. Ironic, since the two games I made so far have nothing but balls. Spheres... I mean spheres. Now those not in 3D graphics might wonder what UV mapping is. You see in 3D graphics you have the object represented in points that connect with each other in a certain hierarchy to form triangles, and those make the mesh. Think of it as a game of connecting the dots only in 3D space and that will give you a wireframe. Then you'd need a canvas to drape that wireframe and give it color. The traditional way of doing things is to make your mesh (your object) and then "unwrap" it, which is to take the mesh and open it up and flatten it into a 2D image to make it easy to paint on it. There are many ways of unwrapping a mesh and i'm sure that many have seen how a face mesh is unwrapped to its UV map. The easiest object to unwrap is a flat plane as that one is pretty much already unwrapped. But spheres... If you want to do some detail work on their surface you'll need to think of where you want to focus and unwrap accordingly. One would need to think of where the bulk of the detail is going to be and decide on the way to unwrap it, as depending on the way you unwrap a sphere, you might get different kinds of artifacts or stretch marks. Default UV unwrap, next to its sphere mesh. If you noticed at the top and bottom of the right side, (the unwrap) you'll notice that the edges end up looking like a saw-blade. It's really easy to have details looking fine at the red zone, but if you try to add detail to the blue area, it will look as if it has stuff cut off. That's because you'll have pixels of your texture be unassigned to actual polygons. There IS a way to have the sphere look better but I have yet to see a default sphere from a modeling program look good on its poles. And now with VR and skyboxes in computer graphics, it gets more and more important to pay attention. If you click on the image above to open the full sized one, take a look at the center of the circles. 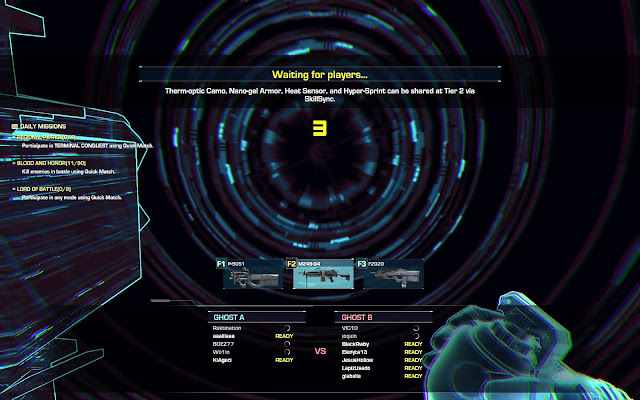 The image is from a game that was unfortunately shut down while still in beta and it shows artifacts in the center of the skydome. What you are looking at is me pointing the camera way up to look at the "sky", while waiting for the other players to get ready and start the match. The skydome is a sphere and while the rest looks fine, the last bit where the sphere ends up in the pointy bits looks collapsed. That happens when the pointy bits all connect to a single point and sort of pull the texture along. Sure there is an "auto" button, but that one almost never gives you the results you might want, at least not with me... It could be a starting point for other kinds of meshes that you would then edit to bring up to snuff. The way I ended up making my UV map was to make a custom unwrap, by actually projecting a flat plane towards the poles from the top, and then put the skirt that ends up being stretched to its own place. I thought of doing that as i wanted the poles to be easily texture-able. I was also able to pack different looks for the ball into the same texture file, just to have everything in the same file. In hindsight it would have been nicer if i would have 4 textures in half the file size and load the one needed instead of having 1 big texture file loaded in memory and only use a quarter of it. The poles are both projected on a flat plane, leaving them with an area that can be easily textured. Top and bottom of the ball are reflected and placed on the same area in the UV map, with the waist being cut and projected on that yellow strip on its own. I promise, the next time I need a sphere, I'll just either use a gradient from top to bottom, or just place a single color and skip texture making on the whole.